Welcome to our weekly guide to what's on for children and families in the North East. 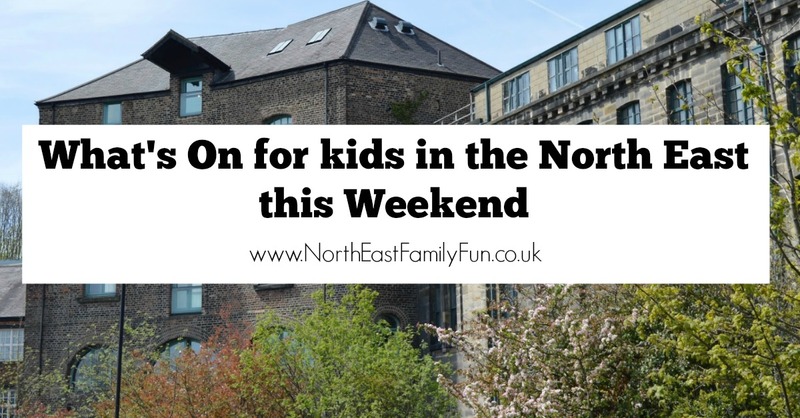 Make sure you like our North East Family Fun Facebook Page for more ideas. Older teens will be amazed by the Circus of Horrors which visits Newcastle this weekend. Mind your manners as Seven Stories makes way for author and illustrator of Please Mr Panda, Steve Antony in a weekend long studio takeover. There will be themed activities and the chance to draw alongside Steve. Free event (normal admission applies) and no booking required. Join Leam Lame Library for their special event featuring rhyming stories for under 5's. On Sunday 29th January, Stowell Street and Bath Lane will come to life with dragon and lion dancers, fire crackers and children's entertainment including a Chinese market and fairground. Let me know what you're up to this weekend. A friend saw Circus of Horrors last year and it's def for age 16+ as it's a bit risqué! Valentine's Day Gifts - Do You Bother?